It’s officially the holiday season, which means you will likely be hosting and entertaining guests soon! 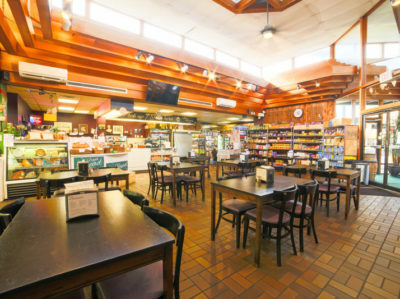 Whether you are having family over for a small dinner or inviting all of your friends for a big party, you can get everything you need at Giolitti Deli. We have the ingredients that give a special touch to every recipe, as well as catering options for events of various sizes. Call today to place your order, or come visit us in store! Luxardo cherries, made in Italy, are the original maraschino cherries- but are very hard to find. Lucky for you, you can find them at Giolitti Deli! The candied cherries and marasca syrup pair perfectly with various cocktails, and are a great addition to any party. Luxardo is renowned for its maraschino liqueur, which can be used to make a sweeter version of a Manhattan cocktail. To make two servings of this drink, add four oz bourbon whiskey, two oz sweet vermouth, one oz maraschino liqueur, four dashes of Angostura bitters and two tsp of Luxardo cherry juice to a cocktail shaker, then fill with ice and shake. Place three Luxardo cherries in the bottom of two cold glasses, pour half the mixture into each glass, and enjoy! If you are hosting a large party and need a simple cocktail, add a few Luxardo cherries to glasses of prosecco for a special touch everyone will appreciate! At Giolitti Deli, we also have Wild Hibiscus flowers, which are edible flowers packed in a delicious raspberry and rhubarb flavored syrup. These flowers can be used in multiple ways for entertaining, such as in glasses of prosecco, as a salad garnish, in cheesecakes, or even by stuffing the flowers with goat cheese. For a delicious cocktail perfect for the holiday season, try making a “Bubbles In The Belfry” drink for guests. In a champagne glass, add 1 ½ oz of gin, ¾ oz of honey and black pepper simple syrup, ¼ oz of freshly squeezed lemon juice, ½ oz of wild Hibiscus syrup, and top with prosecco and a few dashes of Angostura orange bitters. If you need catering for your next event or party, give us a call! We have a vast catering menu with options for groups of all sizes, including starters, delicious small bites, salads, bread, pasta by the pan, buffet packages, sandwich trays, entrees, desserts, and more! Please leave at least 48-hour notice for delivery and set-up arrangements- but popular dates and times may not be available. Call for rates and availability to plan catering for your next party! This entry was posted on Tuesday, November 27th, 2018	at 9:15 pm	and is filed under Food	. You can follow any responses to this entry through the RSS 2.0	feed. Both comments and pings are currently closed.